A pair of crazy eyeballs built into this boldly illustrated hardbound book jiggle and wiggle from page to page. Kids will have fun "seeing the sea" and learning colors as they read about various zany big-eyed underwater creatures. 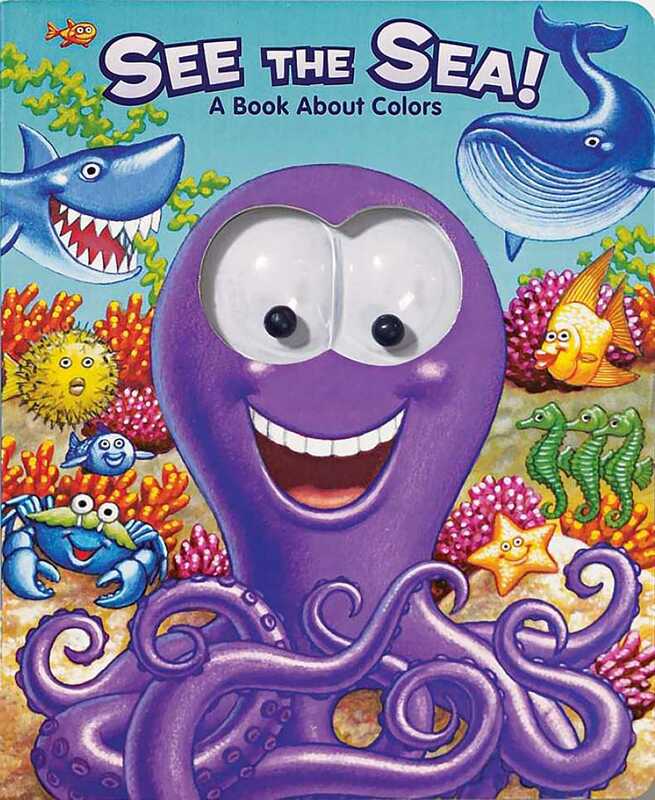 Kids can learn about colors and various underwater sea creatures as they make friends with such whimsical characters at Clark T. Shark, Winona Whale, Wally Fuss and others, in this entertaining board book. What's more, they'll laugh out loud at the faces staring back at them when they shake these characters' rolling "googly eyes." Book Cover Image (jpg): See the Sea!